Fiorina could make the cut. 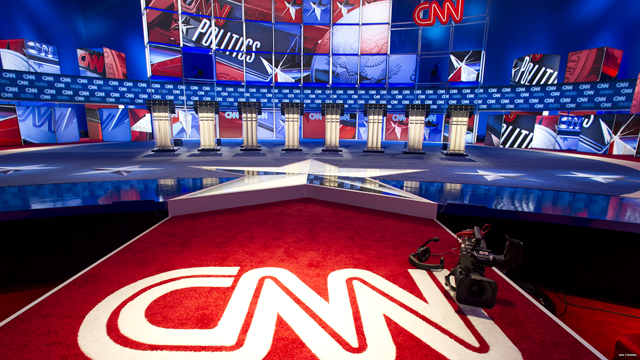 Yesterday, CNN announced that it has altered its debate-qualification rules to include any Republican candidate who enters the top 10 in the time between the previous debate and the debate on Sept. 16. The rule change comes after some hard lobbying from Carly Fiorina’s campaign and her supporters, including an unlikely ally, fellow candidate Ben Carson. The Sept. 16 debate will be formatted much like the first, with a so-called “kids’ table” and “grown-up table,” and will be moderated by CNN’s Jake Tapper. If the last debate is any indication, Tapper can expect to be in for quite the evening. At the moment, the first debate will include Donald Trump, Jeb Bush, Scott Walker, Ben Carson, Ted Cruz, Marco Rubio, Mike Huckabee, Rand Paul, John Kasich and Fiorina, all vying for the coveted nomination.